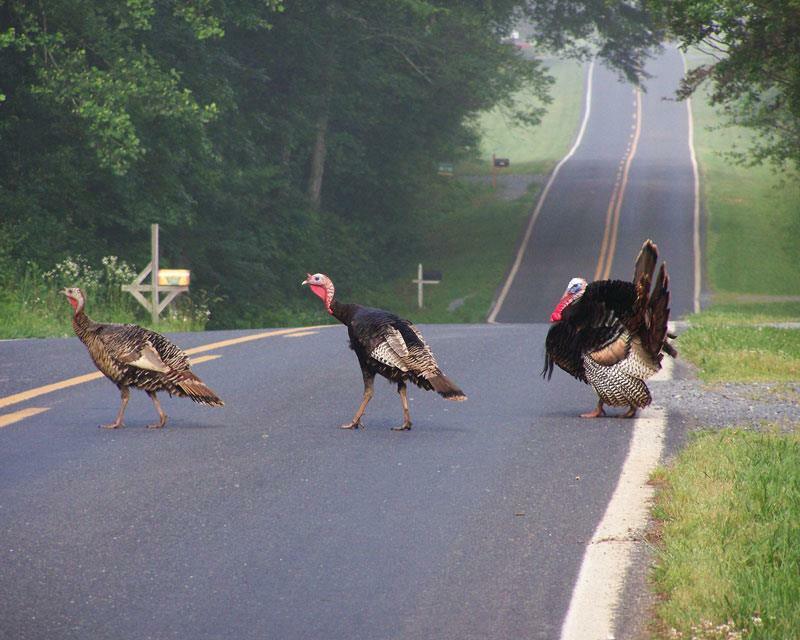 Turkey promenade near Silk Hope, NC. Photo by Joy Hewett. Please join us for the next Chatham Conservation Partnership meeting on January 17, 2019, from 9 a.m.–noon to learn more and participate in a discussion about the importance of the conservation of wildlife habitat and other valuable natural resources at a landscape level as Chatham County grows. The loss of overall biological diversity in North Carolina – across all plant and animal groups – is largely caused by habitat loss and fragmentation. Landscape connectivity is a key strategy to protect biodiversity, maintain viable ecosystems and wildlife populations, and promote climate change adaptation for wildlife species. 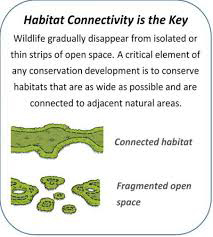 Habitat corridors are the primary tools used to achieve connectivity. Without landscape connectivity, the existing patchwork of lands important for conservation will become further isolated, threatening their value and contribution to the long-term persistence of species and ecosystem services. Proactive conservation planning secures benefits for protecting water quality, the future of native plants and wildlife, our local economy, and working farms and forests. Steve Hall, a retired state landscape ecologist and zoologist who co-authored the Chatham County Inventory of Natural Areas and Wildlife Habitat in 1992 and is now working with the NC Biodiversity Project, will provide an overview of the importance of landscape connectivity for wildlife and the impacts of habitat fragmentation from his in-depth knowledge of our region and its biodiversity. Local planning directors Jason Sullivan (Chatham County) and Jack Meadows (Siler City) will talk about how Chatham County and Siler City are currently addressing habitat fragmentation in their land use development plans and ordinances. In addition, Julie Tuttle, ecologist and project coordinator, will introduce the collaborative work that is underway to develop an Eno-New Hope Landscape Conservation Plan that will identify high-priority landscape corridors that connect a network of critical wildlife habitats within the Jordan Lake watershed and across the “land bridge” between New Hope Creek (Cape Fear River Basin) and the Eno River (Neuse River Basin). CCP meetings are free and open to the public. Registration is not required. • Join Us for Chatham Conservation Partnership's 10 Year Anniversary Celebration! • April CCP Meeting: Become a Backyard Naturalist!